This first week of October is Dyslexia Awareness Week. Dyslexia affects around 10% of the population, and mainly influences the way that people process, store and retrieve information. The theme this year is ’21st Century Dyslexia’, focusing on technology that can assist people in the workplace, at school and at home. 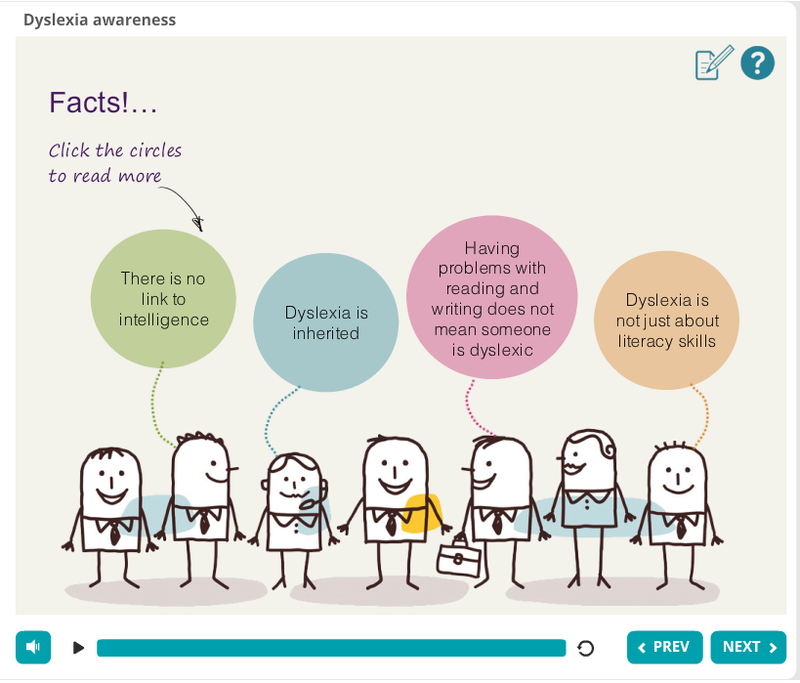 UNISON learning reps, branch officers, and other activists can find out about dyslexia, and how they can support members who have the condition, by completing our e-note. 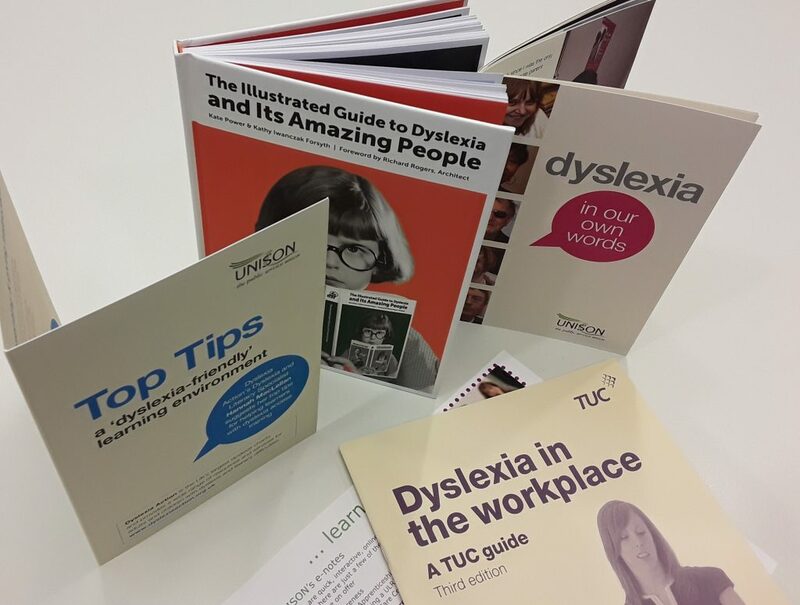 Or you can order copies of our publications Dyslexia in Our Own Words and Top Tips for a Dyslexia-Friendly Learning Environment by emailing us at LearningAndOrganising@unison.co.uk, quoting reference numbers ACT185 and ACT246 respectively. Some people find that coloured overlays and coloured paper make it easier for them to read printed text. These are available from Crossbow Education and UNISON members and branches can claim a 10% discount by quoting ‘UNISON18’. UNISON member James Keenan entered our 25th anniversary writing competition with this poem, which talks about his experience as a writer with dyslexia. While it wasn’t shortlisted, the judges liked the power and conviction behind it, and we’re delighted to report that James has since had two poems published in the Down News. One of those, The Untold Heroes, celebrates the staff of the NHS in its 70th anniversary year, and has been printed and framed and given to Ards & North Down Borough council as a gift to commemorate the conferring of the Freedom of the Borough on all healthcare staff, to mark the 70th anniversary of the NHS. It will always hang in Bangor Castle and the Ulster Hospital. writing stories about my life under my bedside table light. but, there is something holding me back, making me the loser. someone who could be addicted to using chat forums and socialising over twitter. I’ve been stuck this ways for years and before my teens. making me out to be the class clown. I haven’t got a clue, but I do try, but I’m not fantastic. My life is always the post of something else, but that depends on how I present myself. with all the things I wanted to learn all my life, I’ve suffered in vein. I want to top into my own feelings, I want to write subjects that are meant to be. I just want to be me without the frustration. my learning and education was so clearly affected. I didn’t know how to, with words I couldn’t spell, education soon became scary. My dreams of becoming a writer soon became less of a focus. I want to go there, this time not scared and wanting to be seen. I’ll not be that person that people walk over. those who will try and knock me down, but this time, I’ll not be breaking. I can change, but until I try, I’ll never really know. I’ll never give in, I’ll never give up, and it’s not over yet when I can see my whole future in sight. If silence continues, I’ll not let it break me, winning doesn’t mean coming first, second or third. However clear or unclear, it doesn’t affect my mobility. I want to do it for the right reason, to show my dreams and goals and how much I’ve grown. I didn’t need the worries of my frustration. I’m just a boy who is dyslexic. I’m not normal but who is? I’m certainly not perfect; does it even exist? I share with you ‘I’m just a boy’, a poem that is written from the heart with pure emotion and honesty. I hope you will be able to follow the story of me who struggled through bullying at school for being that little bit slower than others and required special needs. My dyslexia diagnosis went unnoticed and my dreams of becoming a writer were demolished. Now 28 years old, my dreams are still giving me a purpose to live to succeed, I believe in myself and believe that one day I will become a writer, however I’ll not be like those big and famous, but I’ll just be me and I’ll be good enough. Teasers and tasters: it’s Maths Workout Week!